Fly bridge has a BBQ, Hob, Sink, Fridge and shower. A true mobile 2 bed apartment on the water with a new view from your balcony whenever you feel like it. 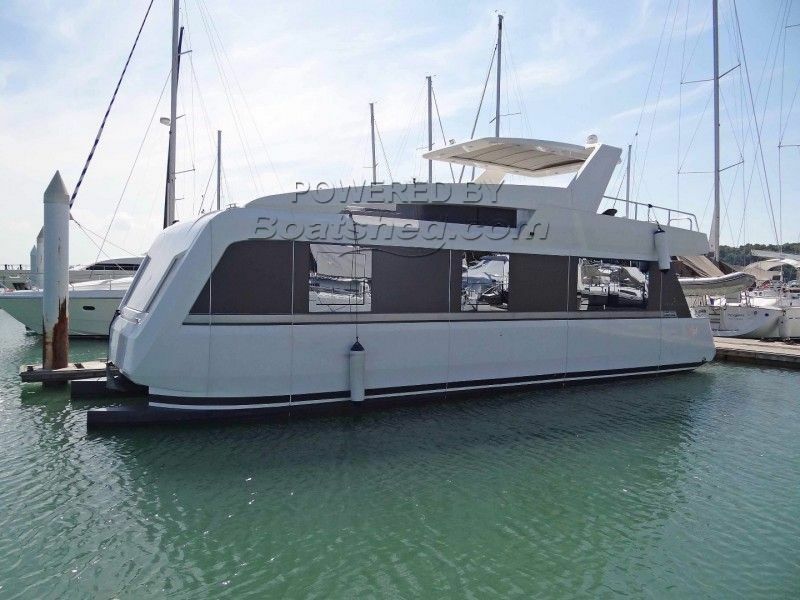 This Modello Overblue 44 House Boat has been personally photographed and viewed by Alan Giles of Boatshed Phuket. Click here for contact details.